Certain areas of our home by nature just seem dirtier than others. Trash cans – where we put our trash. 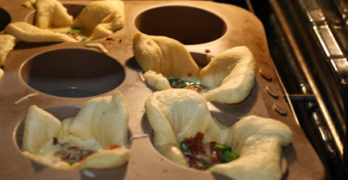 Garbage disposals – where we grind up food particles. Toilets – where we “take care of business.” These three locations in the home not only have more waste and trash in them by nature, but they’re also much harder to clean. You can spray a bit of cleaner onto the garbage disposal and call it clean. And sometimes, no matter how well you think you’ve cleaned the trash can, you can’t get rid of that trash can smell. Fortunately, Natural House has create an effective way to clean these icky spots, and even better, using eco-friendly and non-toxic cleaners. Natural House probiotic cleaning products brings you a revolutionary, new method of cleaning the most dirty areas of your home. Utilizing non-toxic, probiotic cleaning agents, Natural House products are strong enough for commercial clean-up, yet safe and gentle for all of the members of your Natural House. Natural House offers three natural household cleaning products to help keep your home clean and fresh. The products are appropriately named Flush, Trashy, and Sinky. I think it’s pretty clear which area of the home each product targets. What makes these cleaning products so special is that instead of harsh chemicals, Natural House uses plant-based ingredients with probiotics that break down the actual dirt and waste in an eco-friendly, non-toxic, and biodegradable fashion. These microbial enzymes are even able to digest fats, oils, and solid waste which can be found in toilets and sinks. The first product I tried out was Trashy, which comes in a cute spray bottle. The kitchen trash is the target. I promise I’ve cleaned and scrubbed that trash can so many times. While it didn’t “stink” it still had a “smell.” So the next time we replaced the trash bag, I sprayed Trashy on the inside and outside of the trash can. Trashy actually has a slightly minty smell that I found pleasing. It took just one application for me to notice that the smell disappeared. I now use it every time I replace the trash bags to help keep my trash can odor free. Next up were Sinky and Flushy. These two products are pre-packaged into little packs. Simply drop the Sinky or Flushy pack into your sink or toilet and watch the pack foam (you’ll need the sink to have running water.) As the packets dissolve, the cleaner will start to foam and release a mild scent – Fresh Citrus for Sinky and Fresh Mint for Flushy. After the foaming is complete, you rinse the sink or scrub the toilet. The probiotics continue to work to clean your disposals and pipes for the rest of the week until your next cleaning. In addition to being safer than traditional cleaners, I think what makes Natural Products unique is that they are a 2-in-1 solution to dirty problems. Not only does Sinky clean your sink, it breaks down the food residue in your disposal. Flushy gets your porcelain sparkly while helping keep your pipes clean. Even after the foaming action has disappeared, the probiotics are still there doing the work. Natural House is available online from the Natural House Online store or through Amazon for just $4.99 for each 30-day supply. 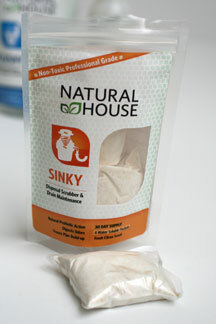 If you’re looking for safe, non-toxic, eco-friendly AND effective cleaners, that not only clean the surface but keep working to clean below the surface, then take a look at Sinky, Trashy, and Flushy from Natural House. 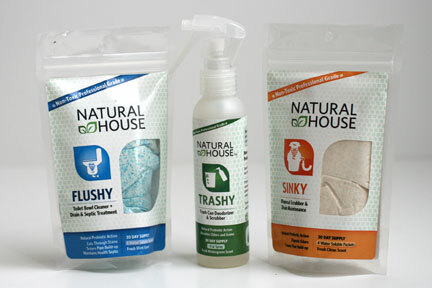 One winner will receive a 30 day supply of Flushy, Trashy, and Sinky probiotic cleaners from Natural House! Trashy! I would love to have something like that…with 2 young kids & all that gets thrown away from them, that would definitely come in handy! I’m most looking forward to trying Trashy! Our diaper pail just can’t help but stink, and no amount of cleaning has really fixed it. I’d love to see if this stuff would do the job! Thank you very much for the chance to win this! I keep seeing this. I would love to try sinky. I have a very delicate plumbing system in my old house. I am hoping this will do the trick. I would love the Flushy! I would like to try their Flushy because I hate cleaning the toilets. I like the fact that the probiotics keep on working. I’d love to try the Sinky the most. Thanks! I look forward to trying Flushy the most! I’d like to try the Sinky the most. I want to try flushy! I would l love to try this product, sounds awesome. we all need to do our part protect the environments and the air in our homes. I would love to try the Flushy. I would like to try Trashy. I look forward to trying flushy! I would love to try Sinky…I have an old house with old, slow pipes. Thanks! I want to try stinky! I would like to try the Stinky! Trashy! I would like some of that. I would like the flushy. I would love to try flushy! Anything that makes cleaning toilets easier is for me! Thanks so much for the fantastic giveaway! Flushy for my septic would be great. I hate cleaning my toilet, so Flushy is the one I am most looking forward to using. I can’t wait to try Trashy! Flushy…the less time I have to spend in front of that thing the better! Im most excited about the Flushy! great way to be green! I’d like to try the Sinky the most. Our bathroom sink could really use it. I’m looking forward to trying sinky. I’m looking forward to trying trashy. I look forward to trying the Sinky first. Thanks for the giveaway! I’d love to try the Trash Can Deodorizer and Scrubber. I’m most looking forward to trying Trashy. That is a problem area in our home! I look forward to Flushy. I hate cleaning the toilets! I really want to try sinky. I look forward to Flushy. Cleaning the toilet is my least favorite chore. As I loathe cleaning the toilet, I look forward to Flushy. I would really like to try trashy. Every time I lift the bag out of my trash can in the kitchen, it smells. To be able to spray it and get rid of the smells without having to totally clean it every time would be great. interested in all house cleaning produces. I am looking forward to Sinky because my disposal gets so Stinky! I am looking forward to using their Sinky product on my kitchen sink! Sinky for me. My sink gets so bad! I’m excited to try the flushy!